The artwork of the great 18th century French painter Jean-Antoine Watteau (1684-1721) is presently featured in an exhibit at the Metropolitan Museum of Art in New York City (Sept. 22, 2009 - Nov. 29, 2009). Our library recently acquired two books on Watteau and his world: The highly recommended and acclaimed book by art critic Jed Perl "Antoine's Alphabet: Watteau and his World" and the book by Iris Lauterbach "Antoine Watteau: 1684-1721". 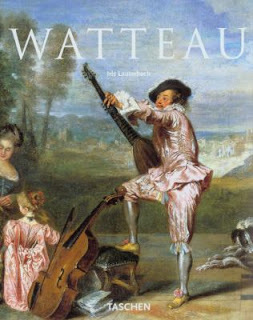 Watteau is considered an influential pioneer, although he died young at age 36.